A startling and memorable routine that will leave your audiences talking about you. A playing card is selected and lost in the deck. A small packet of baseball cards are shown to be all different. After mixing the baseball cards the top one is seen to be a baseball player swinging a bat. The spectator inserts the baseball card anywhere in the deck. He is told that the baseball card will find his selection. The cards above and below the baseball card are checked and found not to be the selection. 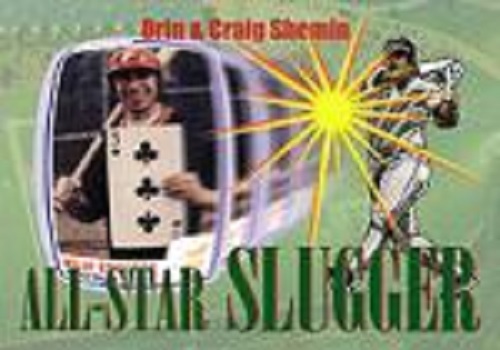 For a startling conclusion the baseball card is turned over to reveal that the player in the picture is now holding the selected card instead of his bat. Comes with all necessary baseball cards (use your own deck). Can be repeated.